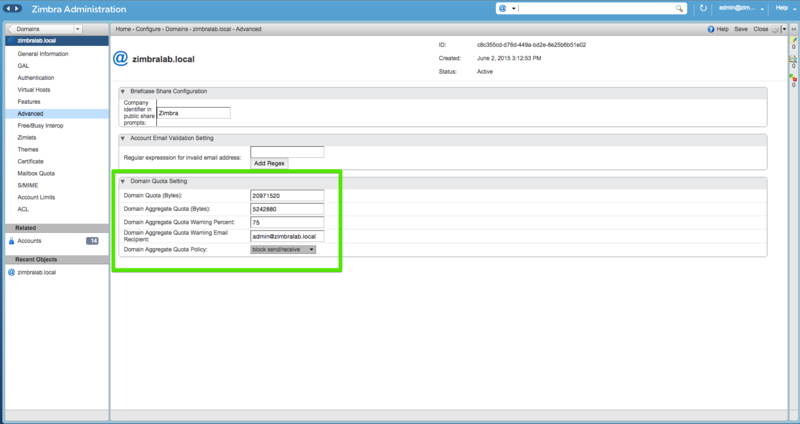 Learn how to assign Global space per domain using Domain Quota. This is an interesting feature used to control the Total space per domain instead of per each Mailbox. 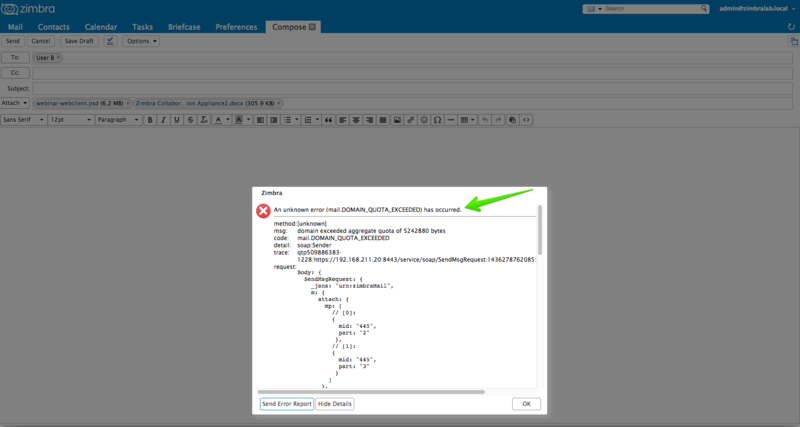 Since Zimbra Collaboration 8.0.x, you can restrict the Global space per Domain instead of per account. This is a useful feature for some Customer cases and for Service Providers who sell a global Space to share between all accounts; they can instead do it per account. Then, go to Home > Configure > Domains > zimbralab.local > Advanced where you add the desired values. Please note that the fields are based in bytes (B). Domain Quota (Bytes) - zimbraMailDomainQuota - This specifies a default quota for each account in the domain (for any account that does not have zimbraMailQuota explicitly set). When set to 20100200, for example, each account in the domain will have a quota around 20MB. Domain Aggregate Quota Warning Percent - zimbraDomainAggregateQuotaWarnPercent - In this field you add the % that the domain should fill to send an email to the Email Account that you configure in the next field. In this example, 75%. Domain Aggregate Quota Warning Email Recipient - zimbraDomainAggregateQuotaWarnEmailRecipient - The email contact to send the warning message once the percent is reached. 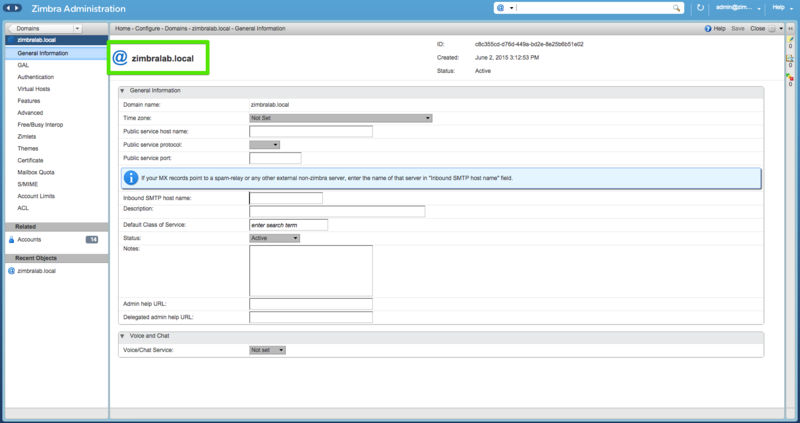 Maximum Quota (MB) administrator can specify - zimbraDomainAdminMaxMailQuota - This controls the maximum quota that the administrator can set for a user. In this case, we can see that the Domain has a Global Domain Quota set at 20MB, from which all users are using 877744 bytes in total, less than 1MB.